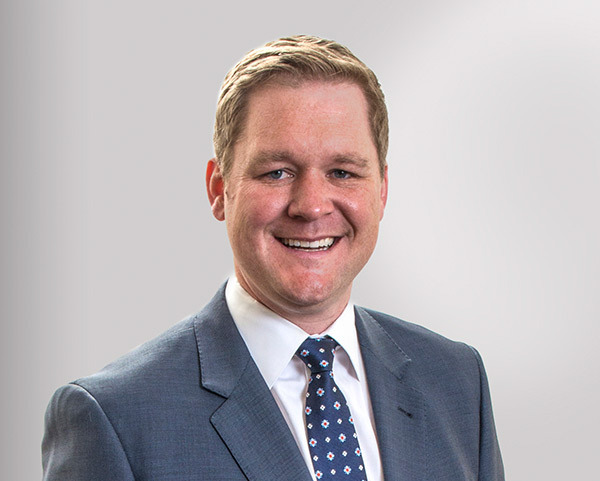 Dan joined the firm as an associate in 2008 and became a partner in 2014. He is a native of Sioux Falls, South Dakota, and is a graduate of O’Gorman High School. Dan obtained a B.S. in Business Administration with an emphasis in accounting from the University of Nebraska-Lincoln in 2005. He went on to graduate from the University of South Dakota receiving both his Juris Doctor and Master of Business Administration degrees in 2008. While in law school, he was a member of the Alternative Dispute Resolution Board, as well as a coordinator for the Volunteer Income Tax Assistance program. Dan held summer internships with the firm in 2006 and 2007. Dan’s areas of practice are focused in business organizations and transactions, telecommunications, utilities and energy law, banking and financial law, real estate law and construction law. In these areas, Dan is able to provide his clients with the assistance, guidance and tools they need to be successful in their business. Working closely with clients to help them achieve their goals was the purpose for which Dan entered the practice of law. Every day he strives to deliver prompt, attentive and quality services to the people and businesses he assists. Dan is actively involved in his community, serving on the board of directors for the Co-op Natural Foods, the Sioux Empire United Way and previously with the Sioux Falls Arts Council. In addition, Dan is a past chair of the Steering Committee for the Young Professionals Network and was a member of the Citizens Advisory Committee for the 2025 Downtown Sioux Falls Plan. Other community involvement includes the Knights of Columbus, the Sioux Empire United Way, and the Sioux Falls Area Chamber of Commerce. Dan is also a graduate of Leadership Sioux Falls 25 and is a member of the Siouxland Chapter of the Construction Financial Management Association. Dan and his wife, Jessica, and their two daughters, Louella and Colette reside in Sioux Falls. In his free time, Dan enjoys golfing, hunting, cooking, reading and following regional athletics. Dan has a AV® PreeminentTM peer rating from Martindale-Hubbell.